handling it. We also get his thoughts on the Republican presidential field. 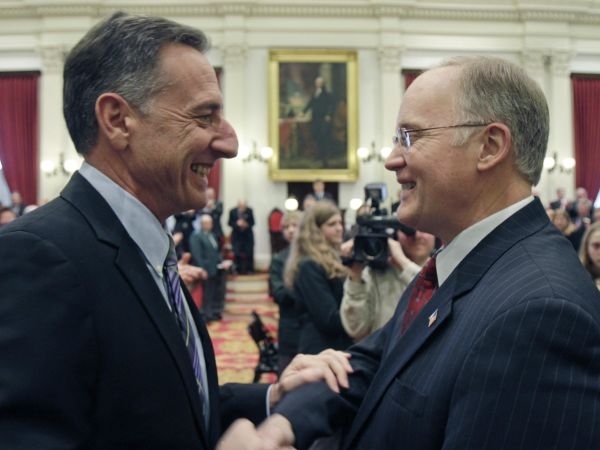 This week Vermont Public Television will release the latest episodes in a long series called "The Governors," covering the administrations of Howard Dean and Jim Douglas. We look at what affect state recognition of the Abenaki tribes might have on federal recognition, revisit the Maurice Sendak collection at Dartmouth and get a preview of the VPT series, "The Governors."